266 in stock Need More ? 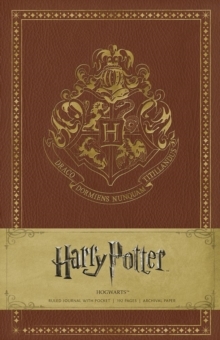 Fans can choose among the four journals--Gryffindor, Slytherin, Hogwarts, and Deathly Hallows--or collect them all. The perfect accessory to the beloved Harry Potter film series, this Harry Potter Hogwarts Hardcover Ruled Journal invites fans to chronicle their own adventures.